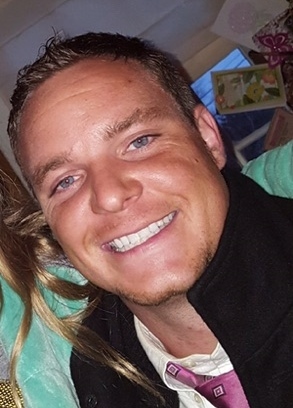 Shane A. Habig, 30, of St. Petersburg, FL, formerly of Steubenville, OH, passed away unexpectedly on Saturday July 7, 2018. Shane was born Nov. 5, 1987 in Steubenville son of Richard A. Habig and Megan M. Miller. Shane was currently employed by Simon Roofing as a Prevision Inspector. He was a journeyman roofer previously with Kalkreuth Roofing and Sheet Metal Inc. (Roofers Union Local #188). Shane was highly knowledgeable and certified in many roofing systems including Firestone, Duralast and Carlisle. He recently completed a major project that he was extremely proud of, at Walt Disney World. Shane was a 2006 graduate of Catholic Central HS in Steubenville. In 2005 he was mentioned as a player to watch in the small school division on the football field. He earned the Eastern District Second Team Award and AP Sports Writers Award. Shane excelled as a 3-year starter on the CCHS basketball team. He was an outstanding baseball player for many years as well. Shane played with Character, Courage, Heart and Spirit in all sports in which he participated. Shane was an avid fisherman and enjoyed to fish the Gulf of Mexico. He truly loved Notre Dame. He was a fan of the San Francisco Forty Niners and Lebron James. Although there was nothing he loved more than his daughter, Nadia. Shane was a parishioner of Holy Family Catholic Church in St. Petersburg, FL. He was a lector and actively involved in his church. Shane was passionate with his love of the Lord. He was preceded in death by his uncles, Mark J. Miller and Randy Habig. Shane leaves behind his mother, Megan Miller of Largo, FL; his father, Richard (Liz) Habig of Cadiz, OH; his daughter, Nadia DeNoon-Habig; his significant other, Jenna Rogers and her two children, Cambria Rogers and Hayden Hernandez all of St. Petersburg; his maternal grandmother, Meg (Bob) Coleman of Toronto, OH; his paternal grandfather, Richard (Rita) Habig of Piedmont, OH; his paternal grandmother, Margaret Habig of Colerain, OH; his four half-siblings, Amanda Habig of Freeport, OH, Leah Habig of Martins Ferry, OH, Richie (Sue) Habig of Lafferty, OH and Nikkie Habig of Cadiz, OH, step-sister, Jennifer Church of Cadiz, OH; his aunt Michele Chilenski and her children, Michaela and Clay of Hilliard, OH. Shane also leaves behind many other aunts, uncles and cousins. Family and friends will be received Tuesday, July 17, 2018 from 5-8 pm at the J.E. Foster Funeral Home in Toronto, OH. A Funeral Liturgy with Mass will be held on Wednesday at 10 am at Holy Family Catholic Church in Steubenville. Msgr. Gerald Calovini will celebrate the Mass and a luncheon will follow at Manfreds in Steubenville. www.jefosterfh.com.